Wild Horses won’t be able to drag you away from the New Forest once you’ve experienced its peace and fallen in love with the forest’s idyllic glades, ancient woodland, open moors, heathland and cliff top walks. Escape to a world a million miles from your everyday life where ponies, cattle, donkeys and deer roam free... and all just 90 minutes by train from London. The New Forest has been a holiday destination here in the UK throughout the ages and there’s a wide selection of accommodation to suit all styles and budgets. Luxury and country house hotels, self-catering holiday cottages, bed & breakfasts, camping and caravan sites and holiday parks all set against the majestic backdrop of the New Forest. As you admire the timeless scenery it’s easy to see why it’s such a popular holiday beauty spot. 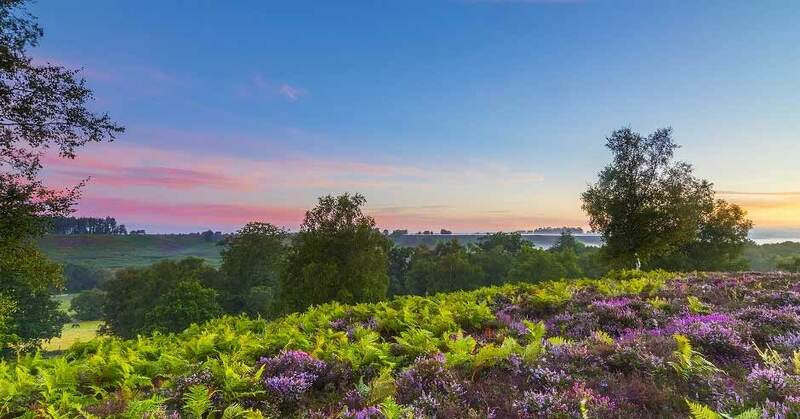 There is a wealth of things to do and places to explore in the New Forest from the award-winning gardens at Exbury, to the National Motor Museum at Beaulieu, leisure and wildlife parks including the famous Peppa Pig World at Paulton’s Park plus much, more. Discover the cobbled streets of our wonderful Towns & Villages or take a stroll along the Coastline of the New Forest! Each season provides a change of scene from the rich deep colours of spring and summer to the seasons of mists and mellow fruitfulness in autumn. Don your walking boots and take a hike through our lush countryside or woodlands, hire a bike and enjoy one of the many off-road cycling routes or simply relax and rejuvenate in one of the area’s award-winning spas. Sample the wealth of our Food & Drink, especially our local produce at our farmers’ markets, country pubs and restaurants or our cosy tea rooms and let us inspire you with things to do and enticing events throughout the year. If you would like to take a look at our brochures and guides before you come, or find out where our Local Information Points are for when you are here, then take a browse through our Visitor Info. The New Forest offers superb conference and wedding facilities. Whatever you need from a short break with the family to an all-out activity holiday, the New Forest‘s majestic surroundings provide an ideal destination. Come and discover this wonderful area for yourself, you won’t be disappointed.